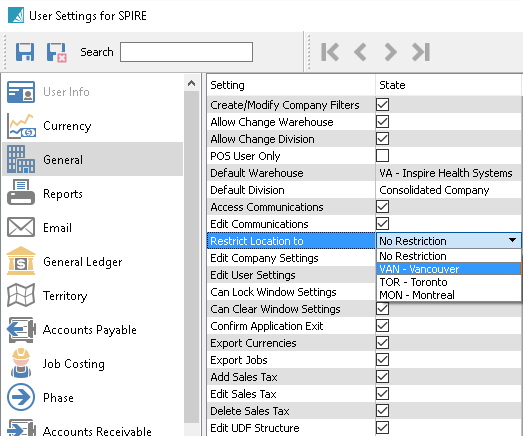 For locations each user can be set to be restricted to a specific location. Go to Edit/Users/General. Then when the user logs in there will be a dialog for which location to use. If they are restricted then they will only be able to log into the one they are assigned to. 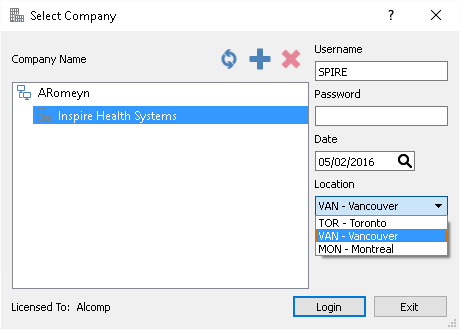 Add a General Ledger account using the location segment for each account the company wants to re-direct. At minimum the company usually sets a sales account for each location, but can also add cost of goods, inventory and taxes.